You’d like to meet me? I enjoy reading about your fantasies via e-mail so I can make all necessary preparations and get into the right mood for our scene. I am usually available for sessions Monday to Friday from noon until late. During the day until 6pm I host sessions at my discreet private residence in Hamburg city centre. Please note that I’ll be able to accommodate you by appointment only, even if you know my address from previous visists. Appointments in the afternoon are sometimes possible on short notice, too. 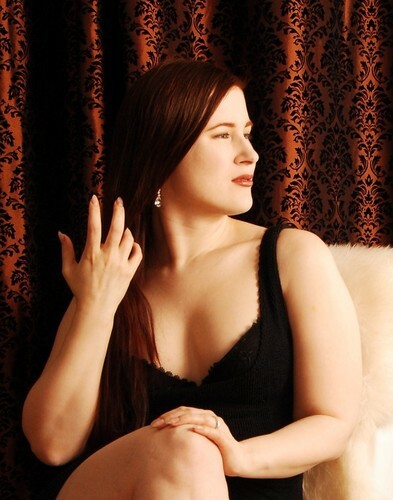 Evening sessions starting from 6pm are usually outcalls and there is a deposit required. I’m happy to discuss different discreet ways to send me a deposit. Please contact me well in advance, especially if you plan on using international bank transfer. This is my up-to-date roster. You can meet me on all days marked with my name, starting from noon. Seeing me on weekends and other days not labelled in this calender unfortunately isn’t possible without exception. Please schedule some extra time in addition to the duration of your booking for a preliminary talk, taking a shower and/or possible brief waiting periods. I also don’t usually play by stop watch – in case you need to leave at a certain time please let me know before we start our scene so I can release you accordingly. I also enjoy subtle public play, fetish shopping, escorting you to functions, romantic dinner dates and hotel sessions (see Outcalls for details). Outcalls are possible for booking durations of two hours or more. For scheduling see above: Shorter notice is sometimes possible in the afternoon, for evening sessions please allow enough time in advance. My personal preference: I love preparation and anticipation, so contacting me sooner rather than later always works best for me! For phone and skype sessions (including hypnosis), e-mail training or long distance conversation that exceeds planning your concrete visit please contact me with your needs.